Go for low-fat Natural Live Yoghurt (NLY) if you want to avoid mixing. Enjoy the regular NLY if you’re fine with a bit of mixing. This makes a perfect vegetarian carb lunch with a couple of oat biscuits. Chopped parsley to garnish (optional). 1 Drain the tinned chickpeas and place them in a saucepan. Cover with water, bring to the boil and then simmer for about 20 minutes until they soften. Then drain and allow to cool. 2 Put the oil, lemon juice, garlic, yoghurt and chick peas into a mixing bowl and give them a few quick blasts with a hand blender (or put the ingredients in a food processor and blast for a few seconds). 3 Season with salt and pepper and give a final quick stir with a spoon. 4 Transfer to a dish and sprinkle with chopped parsley. 5 Chill and use as required. Suitable for: Phase 2 (carb). is hummus allowed in P1? Hi, I notice this says to use low fat yogurt. Is this correct? I’ve noticed this recipe uses yogurt instead of tahini. 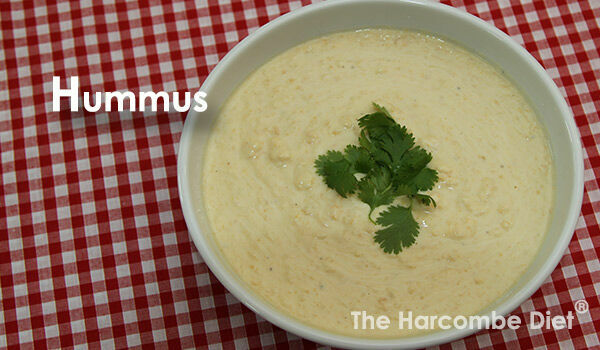 Is it OK to eat standard humous? Can we mix chickpeas with sesame seeds is anither way of asking it I guess. If by ‘standard’ you mean, shop bought, then check the ingredients for ‘oses’. 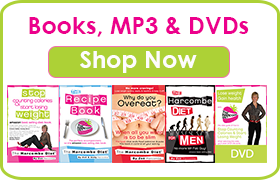 My dr has actually recommended I follow your plan so have today purchased your book and recipe book. Does the recipe book tell you how many servings the meals make as looking at some online they don’t. Like this hummus it doesn’t say. Thanks Danielle, Yes they do have serving suggestions in the recipe book. Danielle was asking if the recipe book says how many servings you end up with for each recipe, not serving suggestions.